Our Chocolate Cheesecake infused with Dean’s Beans espresso. The crust is a chocolate cookie crust with coffee beans ground right in. 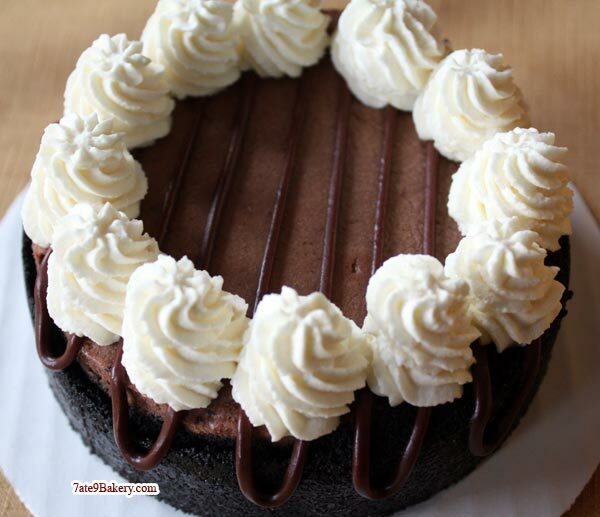 The cake is then topped with a dark chocolate drizzle and freshly whipped cream. Made with Valrhona chocolate and Dean’s Beans espresso.